BSD Green Office Park is Indonesia's first green office in a district encompassing a total area of approximately 25 hectares. 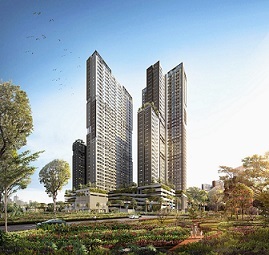 The district offers a park-like ambience and is intended to be the home of 11 five-storey buildings. It is also home to Sinar Mas Land Headquarters. BSD Green Office Park has been awarded as the Gold Winner of FIABCI Prix d'Excellence Awards 2013 in Taichung, Taiwan, under Sustainable Development Category. BSD Green Office Park was recognized for incorporating advanced green architectures to conserve energy, water and natural resources. All its buildings maximize sunlight penetration while reducing solar heat, thus boosting energy efficiencies, and optimizing air circulation.